7 February 2017 – Considering past trends consumers are expected to spend more on gifts and restaurants this Valentine’s. In 2016, FNB Credit Card holders spent 60% more on flowers, jewellery, chocolate, greeting cards ahead of Valentine’s while a 25% increase in spend at restaurants was recorded. 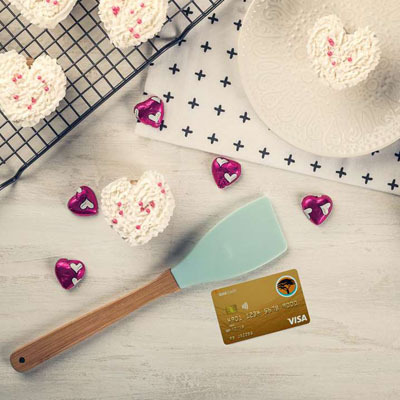 FNB Credit Card analysed 2016 spending patterns of its customers on gifts in the week of Valentine’s and restaurants on the 14th February, comparing to a usual business week, to ascertain if there was a unique spending pattern associated with Valentine’s. “It is very clear that consumers spend more around Valentine’s and interestingly, men are responsible for the majority of spending. However this doesn’t mean that women don’t spoil their loved ones as we also see increases in their spend during this time,” says Christelle Pretorius head of product and growth at FNB Credit Card. Online florists see the biggest increase in the week of Valentine’s with a 116% increase compared to usual spend patterns. Men take the lead when buying flowers, accounting for 65% of these purchases, compared to 35% purchased by women. Jewellery stores also see an increase of around 29%. Again men make most of the purchases in this category accounting for 60% of spend. Chocolate and card stores also saw increases of 38% and 22% respectively; however both women and men spend equally on these gifts for Valentine’s. Restaurants see a boom on the day of Valentine’s, with an increase of 25% compared to a normal business day. “Whether you believe in Valentine’s Day or not, our data shows that consumers do celebrate Valentine’s with special gifts and meals out to spoil their loved ones and we expect the same in 2017,” says Pretorius.